NOTE: This may serve as an excellent demonstration that humans really are smarter than computers and, in this case, even faster at finding the solution than computers! 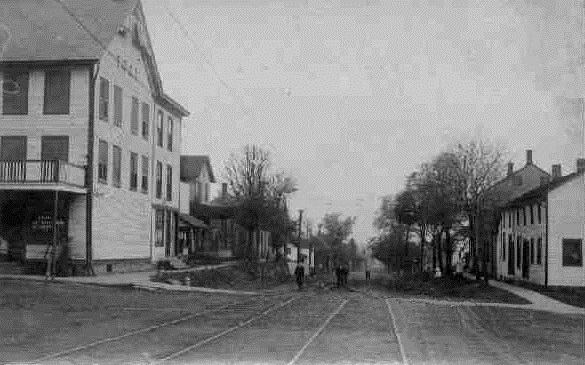 Is it possible that the tracks in the old Greentown photo above connected to the Streetcar tracks in Canton as shown in the photo below from 1910? From the 1880’s through the 1940’s, streetcars and interurban railcars connected northeast Ohio in a way that is hard to imagine now. 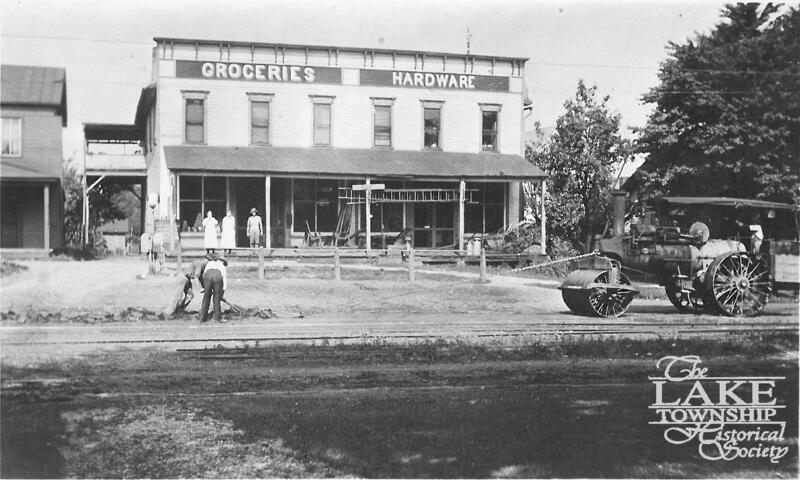 Larger cities often had multiple competing streetcar systems, and interurban rail systems connected the cities and the towns that weren’t large enough for their own systems. 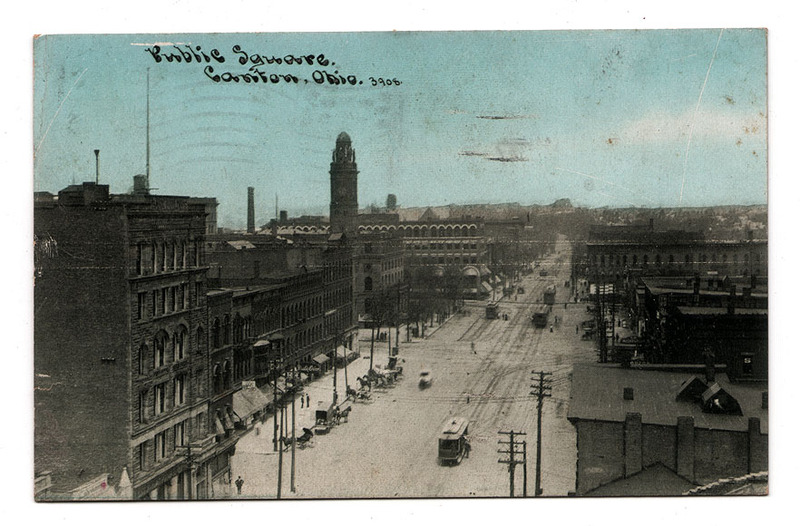 Cleveland, Akron, Canton, Massillon and New Philadelphia were all interconnected. 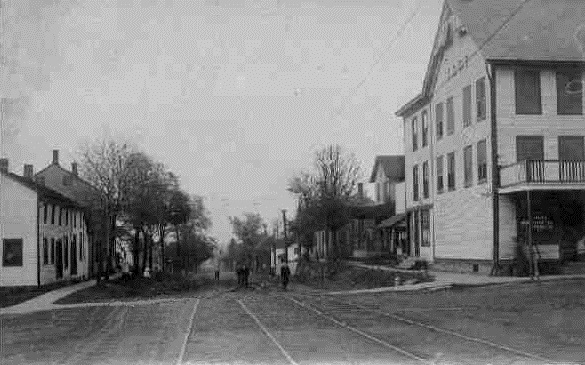 A line was graded from Akron south along the east edge of the Portage Lakes, crossing South Main just north of Caston Road, continuing through what is now Nimisila Reservoir, and to Comet between Main and Stoner Streets. A little south of Comet, the line branched to the east to Canton, to the west to Massillon. Sadly, just before grading was completed and rails laid, the company (NOT&L - Northern Ohio Traction & Light) bought its competition, which had just opened a line from Akron southeast through Springfield, Uniontown, GREENTOWN, and on to Canton. The line through Comet, called the Akron Canton & Massillon Railroad, lay dormant for years, with pieces of the right-of-way gradually sold. Much of it is marked by electric transmission lines. While the land was in limbo, it became known as "the world’s longest potato patch", because farmers were hesitant grow anything else or to farm and improve it as it could be claimed by the railroad at any time.